Lieutenant General Alexander Russell Bolling, born August 28, 1895 Philadelphia, Pennsylvania. He was the second cousin of President Woodrow Wilson's wife, Mrs. Wilson. In 1917 he entered the army as a Reserve Lieutenant after completing his studies at the U.S. Naval Academy from 1915–1916 and also the U.S Military Academy. Then in 1933 he graduated from the Infantry School continuing on to graduate from the Army War College in 1938. During WWI, in the Boise-des-Mesles, he commanded three platoons of the 4th Infantry, 3rd Division. During this time, on July 14, 1918 he exposed himself to a great deal of gas and shell fire between different platoon earning him the Distinguished Service Cross award. During WWII he was the Assistant Chief of Staff Army Ground Forces (1940-1943),the Assistant Commanding General of the 8th Division (1943-1944), and then the Commanding General of the 84th Division (1944-1945). He was a part of Operation Overlord as well as the Battle of The Bulge. In October of 1942, General Alexander's division was activated, going into Blegium from The United Kingdom. They had 7260 casualties in 170 days of combat. 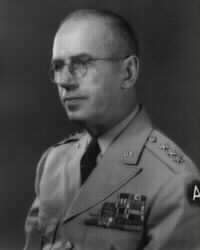 While Brigadier General and G-1 for General Lesley James McNair, General Bolling informed Omar Nelson Bradley, a Commanding General at the time, that he would be going over seas to join Eisenhower in Africa. For a time Alexander Bolling was also Chief of Army Intelligence, participating in a number if security cases. When there was an issue regarding a "letter" Senator Joseph R. McCarthy showed, that was actually a FBI secret document, Alexander Bolling was really upset with the breech of security. 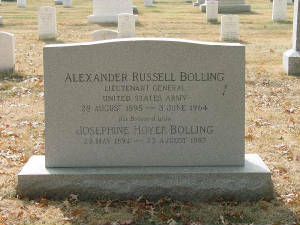 After retiring in 1955 as Commanding General of the Third Army, Lieutenant General Alexander R. Bolling died nine years later at age 68, and is buried at Arlington National Cemetery, along with his wife. During his years of service in the U.S. Army, Lieutenant General Bolling received not only the Distinguished Service Cross award but also the Silver Star, Legion of Merit, Bronze Star, and the Purple Heart award. 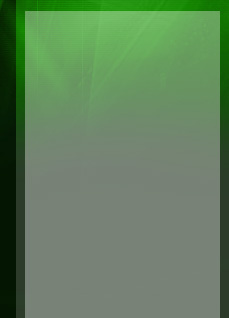 Bradley, Omar N. Bradley- A Soldier's Story. Rand McNally & Company: Chicago, 1951.